As you can see, I don’t explicitly say tackling. So, if we really want to improve our defence, we have to look at the whole, not just one of the parts. A player-centred defence builds a cohesive team structure where players know their roles, work together and drive the attack into places they don’t want to be. Start slowly with Walking rugby. It allows players to develop their awareness plus work on their tackling technique at the same time. It’s ideal for less confident tacklers, but you will find senior players will really enjoy the competitiveness of the game. As a breakout, work on Ruck races in defence. 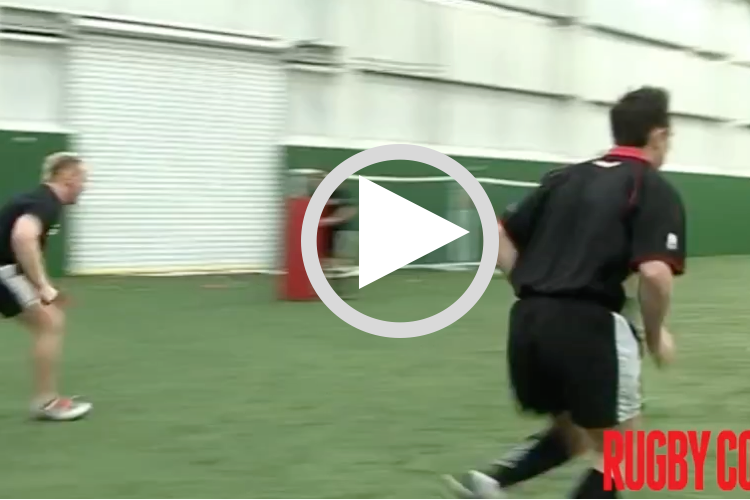 This will help players understand how to challenge for the ball in the tackle area. Then, as the players are more warmed up, try out Player plan defence. Now the defenders have to plan how to improve their connections and support to shut down different types of attack. Finally, challenge the players to Create a creative defence. This is a small-sided game situation, where your players can really put different sorts of pressure on the attack. So, lots of chances for your players to experiment and find out what works for them as a group, whilst sticking to the principles of defence.